Wow. Spectacular. 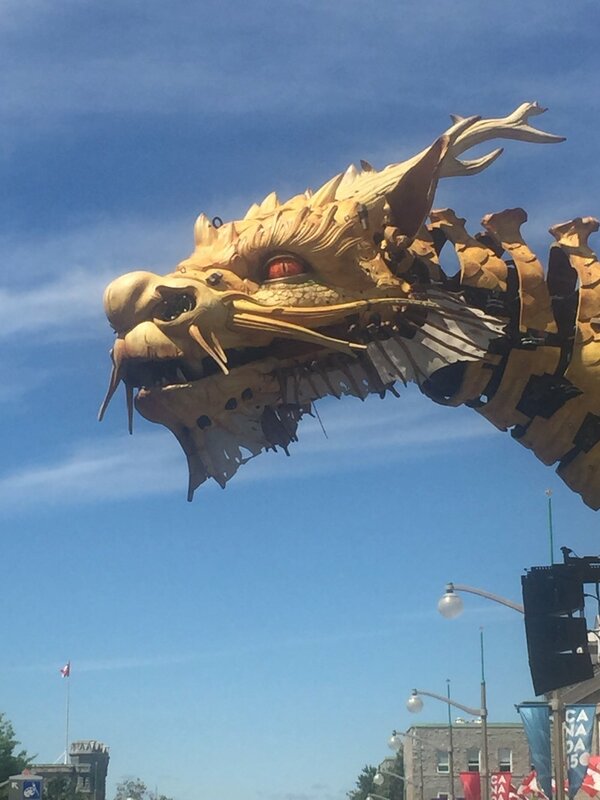 A few days ago, I went to Ottawa to check out a giant dragon and a giant spider created and operated by the French company, La Machine. Somehow, miraculously, we managed to get really close to the dragon when it woke. Later, we bumped into the spider as it roamed the downtown. Spotting the beasts on the city streets throughout the afternoon was quite neat. Currently reading: Billy Budd and Other Stories by Herman Melville and Rod & Table-Top Puppets by Hansjürgen Fettig. Currently listening to (obsessively): Arcade Fire's Everything Now.